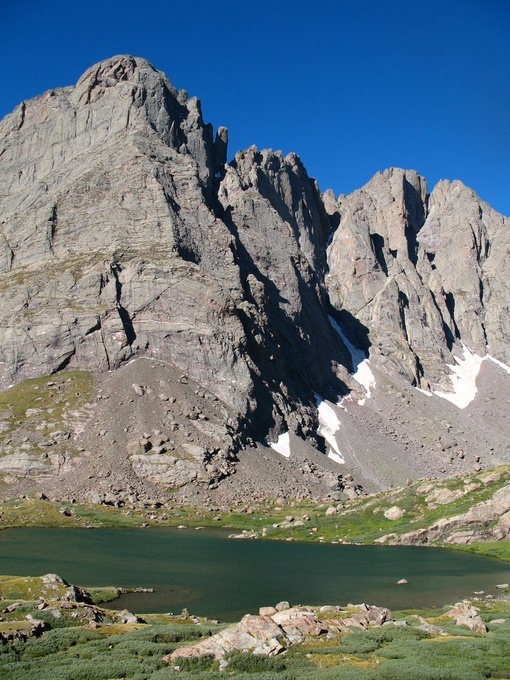 Crestone Needle is a dramatic Colorado 14er in the heart of the Sangre de Cristo Range. 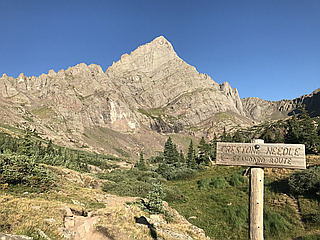 It is part of a group of 4 14ers known as "the Crestones" headed by Crestone Peak and also including Kit Carson Mountain and Humboldt Peak. 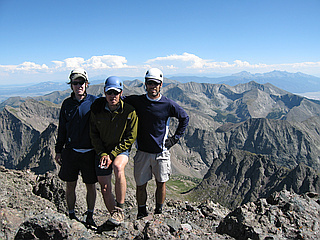 While not as high as Crestone Peak, Crestone Needle is a more difficult climb by its easiest route. The easiest route is the South Face usually accessed via Broken Hand Pass from South Colony Lakes. 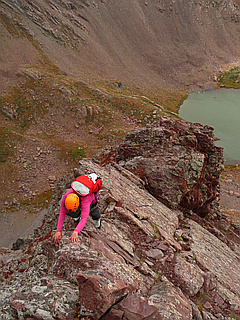 This is a Class 3 exposed scramble with a few tricky moves and is one of the more difficult standard routes among the Colorado 14ers. Routefinding is essential, especially when it slyly hops across a couloir. Wrong ways here quickly become 5th Class. The most classic route is the Ellingwood Arete, a steep ridge on the northeast side of the peak leading directly up from the Upper South Colony Lake basin to the summit. It is a 5.7 technical rock climb and is particularly popular because of its inclusion in the well-known book Fifty Classic Climbs of North America by Steve Roper and Allen Steck. Crestone Needle is connected to Crestone Peak by a difficult ridge, generally known as one of the four great Colorado 14er traverses.